On November 16-17, the Logistics Challenge Hackathon takes place in Antwerp. Here, 125 participants solve 5 challenges in 24 hours. 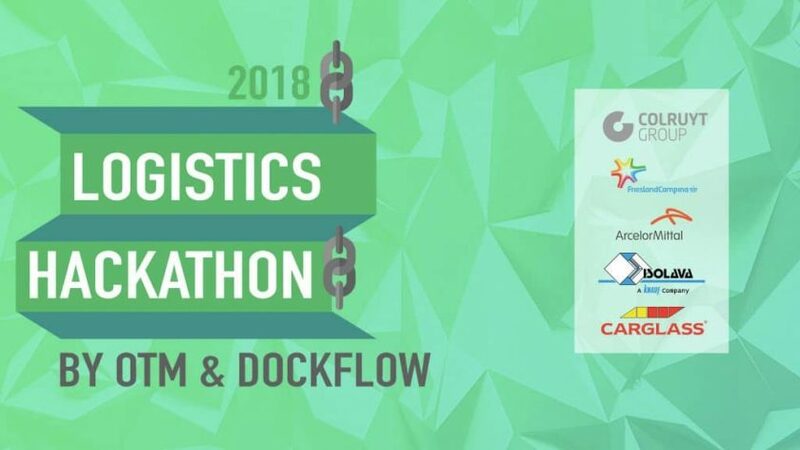 As a collaboration between Dockflow and OTM (the Belgian Shippers’ Council), it is the first hackathon to focus on logistics and supply chain issues in Belgium. The challenges focus on logistics and supply chain. These cases tackle topical issues by Colruyt Group, FrieslandCampina, ArcelorMittal, Carglass (Belron) and Isolava (Knauf). Details for each challenge will be revealed in September. Hackathons – the concept keeps growing outside of its original world of software development. Within a given time limit, teams find solutions for defined challenges. By doing so, they often lay the foundations for a new product, solution or service. During the event, short keynotes inspire the participants. A jury then evaluates all ideas and solutions. For the Logistics Hackathon, teams consist of students, professionals, tech experts and consultants. Winners will pitch during the gala on Saturday night. Participating in the hackathon is free! Lieven Verstraete is the host of the gala night. It serves as the closing event for the hackathon on Saturday, November 17. During an elaborate dinner, the jury presents all case solutions. The winners of each challenge then pitch their idea for the 250 gala attendees. Finally, these guests vote for the overall winning team. You can find out all details on the website!